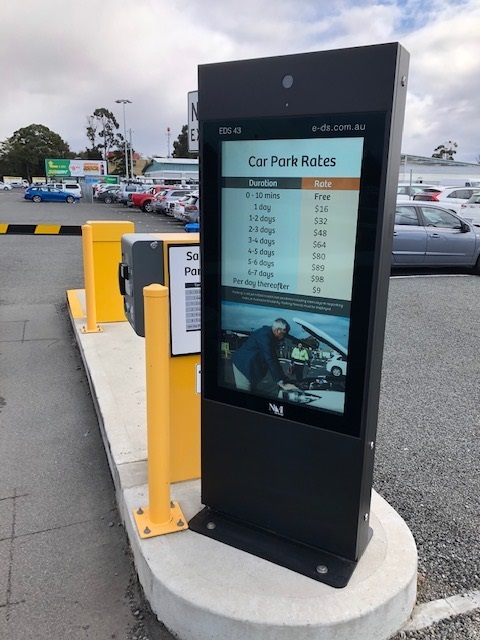 In addition to our LED screens along Holyman Avenue, which have been showcasing advertisements for Tasmanian businesses since September 2018, we have also introduced digital screens to the entry of our main car parks. The digital signs will display up to date parking rates as well as ad-hoc updates to travellers using the car parking facilities. The signs also open up an additional advertising option for local Tasmanian businesses to promote their products and services at the state’s busiest gateway. The project commenced in January 2019 and was completed two months later in March with the screens now operational and displaying rates to travellers.